Tulle & Combat Boots: "Picture Me"
So last night as I was folding laundry I decided to watch "Picture Me," a documentary which I had put in my Netflix instant queue a few weeks ago. I had never heard of it before, and my expectations weren't all that high. But I was pleasantly surprised by everything about this film: the music, the animations, and most of all, the content. 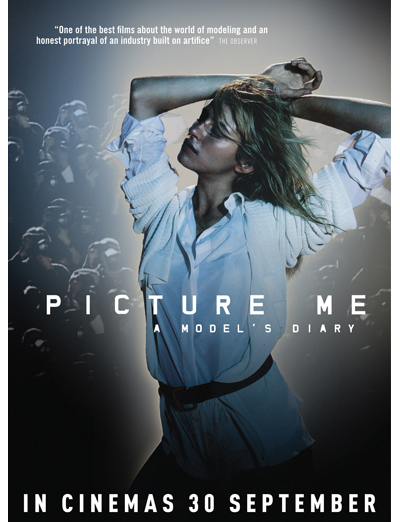 "Picture Me" is not just a video diary about model Sara Ziff's rise to fame, but it also addresses many issues of the fashion industry that are usually swept under the rug. Many young girls (some as young as 12 or 13) are "scouted," and enter the world of modeling very quickly and without parents or family, with the promise from their agency that they will "take care of them." Oftentimes, these girls are thrown into compromising situations and taken advantage of, usually by much older photographers. I highly recommend that everyone with any interest in fashion or modeling watches this film. It's raw, realistic, and honest, and that's not something that you come across often in the fashion industry. What do you guys think? Have you seen this film before? Do you want to see it? looks great i must watch it! Wow, that looks really interesting. Def gonna check it out. Thanks!